Even all the way here in Canada, we can appreciate European architecture. This is why you are going to thoroughly enjoy the project that we have in store for you today. Spanish interior designers and decorators, Aris & Paco Camus, were involved in the renovation and the remodeling of a stunning apartment, which has been transformed from an old-fashioned and run down spot into the hottest home on the block. What you will find so interesting is how they've managed to retain the charm and the design of the original structure, while creating a brand new modern space at the same time. 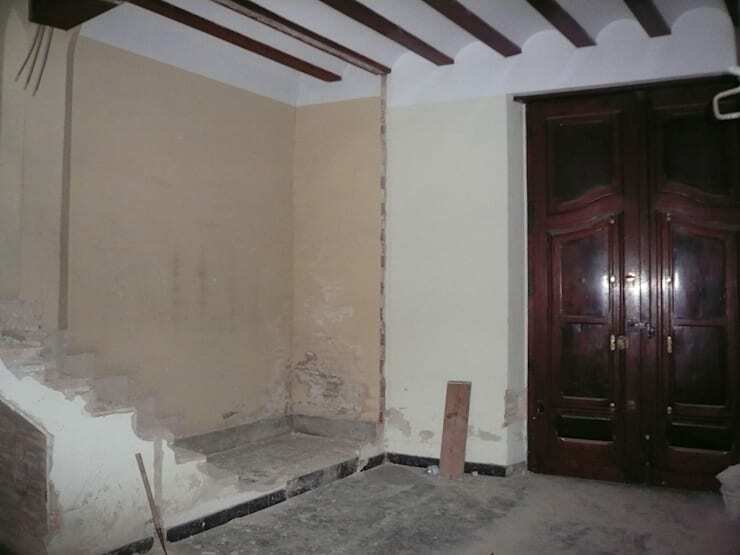 If we look at this old Spanish apartment before the renovation, we can see just how depressing it is. The architecture as well as the wrought-iron banisters and detailed window and door frames hold so much potential, yet the exterior has not been maintained in quite some time. The colours of the facade are very dull and the home looks like it is boarded up, which gives off a very sad and eerie ambiance. If we step inside this home, we can see how run down and dilapidated it is, despite the grand front doors and the original and beautiful wooden ceiling beams. The floors are a rough concrete, while the walls look like they are under construction. There is plaster and paint everywhere! It's very difficult to imagine what this home would like if it was restored. We can see what utter chaos was unleashed during the reconstruction of this charming little apartment! 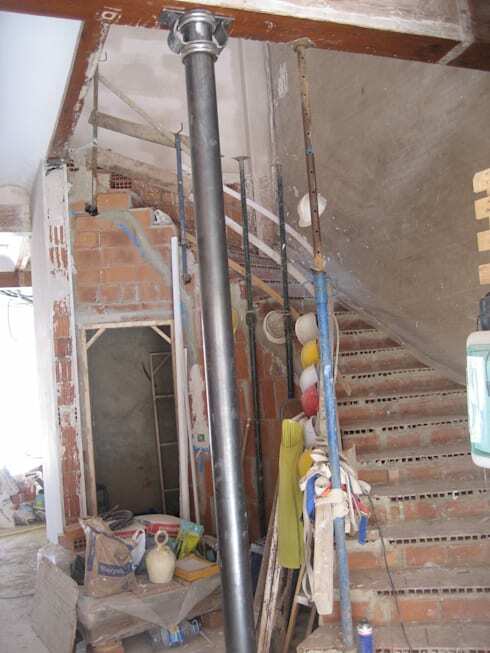 During the restoration of the staircase, there was raw brick and concrete everywhere as well as building and construction tools. Everything is a mess! The exterior facade has been restored and repainted – it looks so fresh, modern and inviting! 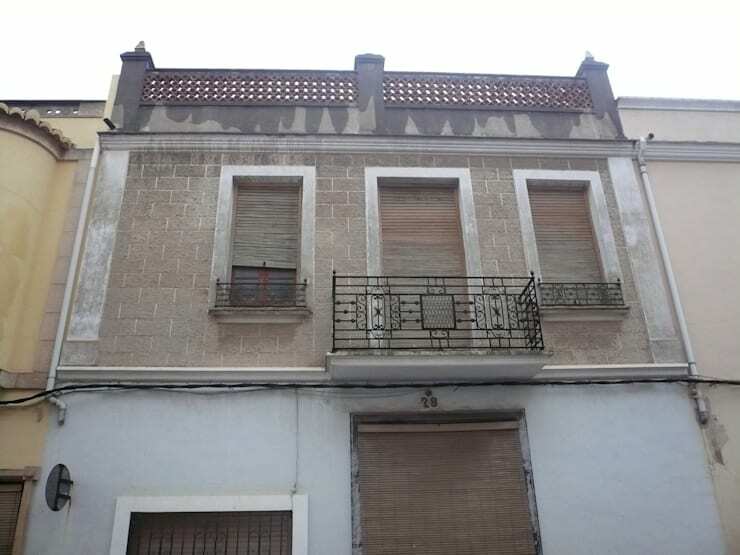 Yet we can see that the designers have kept the original structure in tact including the shape of the home, the beautiful wrought-iron banisters, the window and door frames. 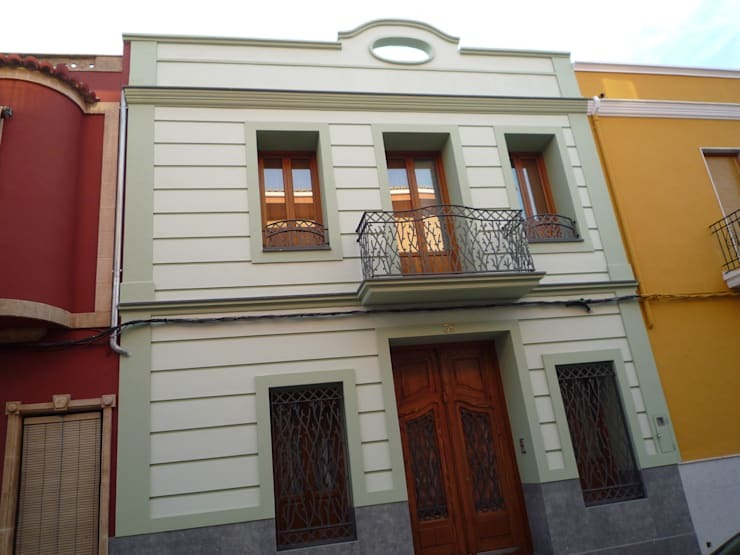 To be able to restore a home, without losing the original charm of the architecture is a very impressive talent. The designers have gone for shades of cream throughout the facade, which looks very elegant and sophisticated, complementing the rich wooden doors and windows. On the bottom of the facade, we can see that they have used grey tiles, adding another tone and texture to the outdoor space. If we step inside the living room, we can see that the newly restored home features a very impressive, chic, sleek and modern interior design. The living room flows into the dining room and kitchen, creating an open plan design that is very interactive and social – a must for any modern home. The designers have gone for simple black walls and white furniture, creating a very classic look and feel. Thanks to the warm wooden floors, these colors aren't too cold or stiff. In this image, we can see that every detail has been carefully selected from the gilded mirror to the cream and charcoal pillows. You'll notice that the original ceiling beams are in tact too! From this angle, we can see how beautifully the staircase turned out with its grand marble steps and wrought-iron banister, which matches the banisters throughout the exterior of the home. 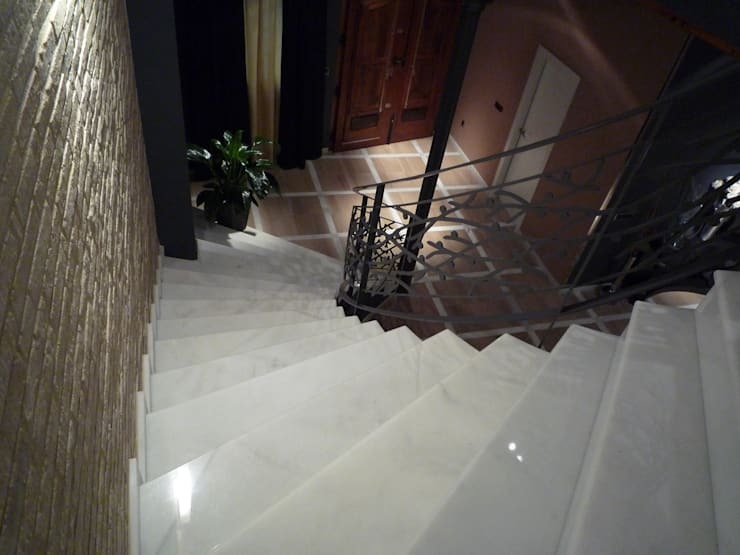 Marble is a great material for a staircase, especially one with a dramatic spiral design like this one. It transforms a functional feature into a design piece right in the center of the home. On the wall next to the staircase, we can see a natural stone facade, which adds a homely, earthy touch to the apartment. Have a look at these tips for decorating your stairway to heaven. While we didn't see what the previous bedroom looked like before the renovation, we can see just how breathtaking it is now that the designers have intervened. They have stuck to the same black and white theme, pairing black and white linen with a very striking and elegant white headboard. The mirrored closet at the far end enhances this room, making it seem that much bigger and more entrancing. The lighting in this space is also very important as you want to create a peaceful haven. 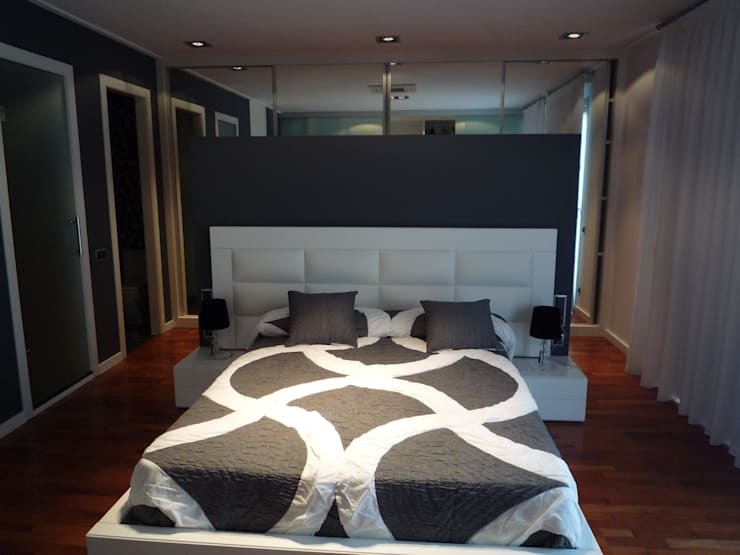 This is achieved in the form of gorgeous lamps next to the bed and dimming lights in the ceiling. On a slightly raised platform, the designers have slipped a chic and stylish home office into the home. They've used a glass office desk in this space as well as niche shelving space for books. This is the perfect little spot for doing homework or working from home if need be. 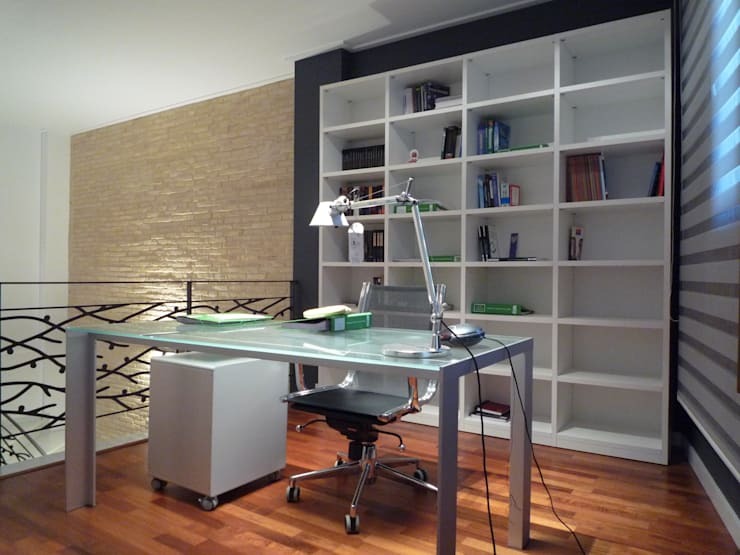 Have a look at these tips for perking up your home office. Before we end off our tour of this before and after, we just had to give you a sneak peek into the backyard. It holds the biggest surprise of all – a gorgeous swimming pool! The designers have ensured that the garden is neatly landscaped around the swimming pool, creating a very inviting, colourful and attractive outdoor space. 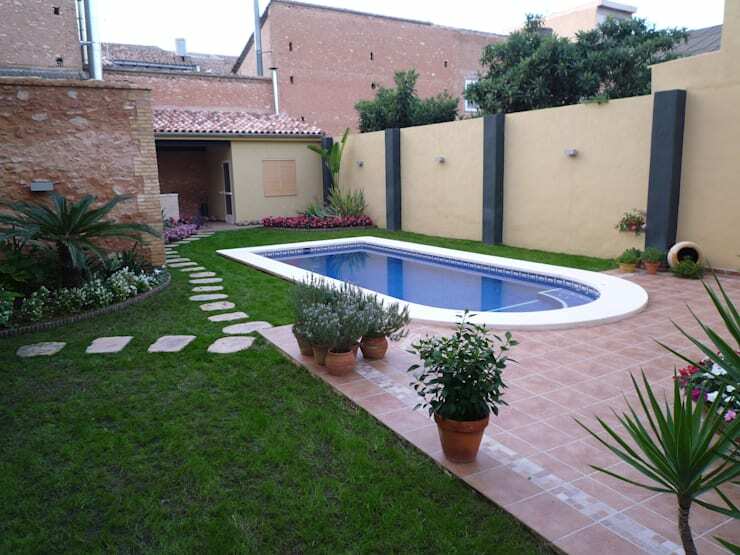 The tiled area works as a terrace and could be used for summer barbeques or spring lunches. A great tip when it comes to your garden is to use flower beds to group together flowers and plants according to their color. The result is little bursts of shades and tones throughout the outside space! How impressive is this before and after?